If you prefer to do your own laundry we have state of the art coin operated Washers and Dryers ready for you, clean and well maintained. Or you can take advantage of our full service Laundromat and drop off your laundry in the morning and pickup in the evening, a same day wash, dry and fold service where upon completion you will receive an Email or Text from us that your laundry is done and ready for pickup ! 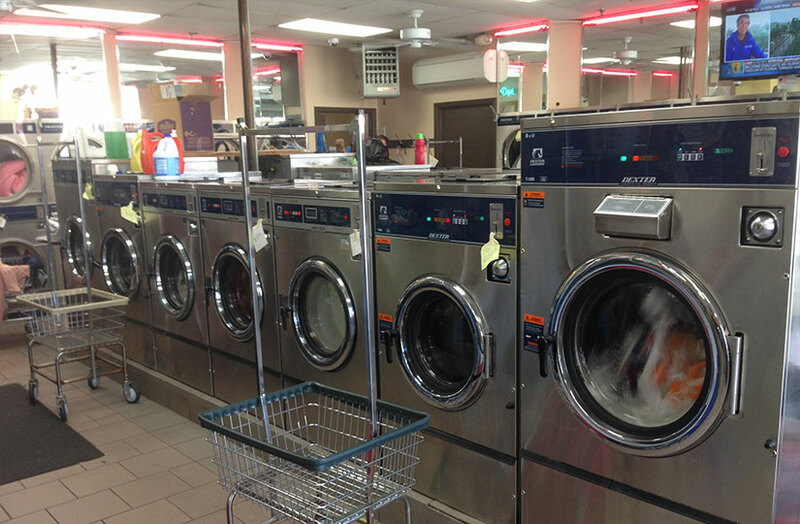 Clean Scene Laundromat is fully attended with helpful friendly staff, and for your convenience we also we have bill changers, bottled detergents, softeners and bleach for sale and single serve vending laundry products. We have JUMBO 55LB washers available so even the largest comforters and laundry loads can be done on the premises, with oversized dryers to match. We make the chore of doing laundry as pleasant as possible by providing lots of counter space for folding laundry, FREE WIFI, TV’s and vending machines for your convenience and entertainment, plus our interior decor is bright, clean and safe, a truly pleasant environment to do your laundry in. Call the phone number below or stop by and take advantage of all the services available at the Clean Scene Laundromat !